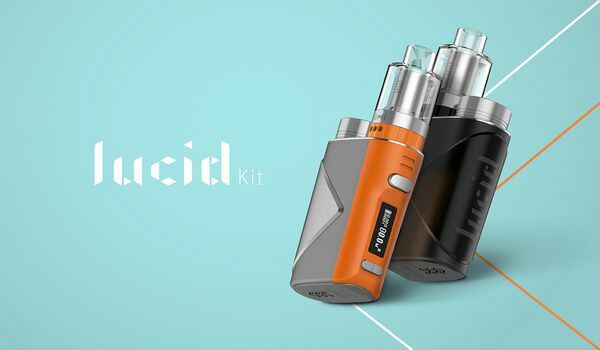 Powered by the advanced AS chipset, Lucid is a compact and powerful starter kit that is capable of outputting a maximum power of 80W with a single 18650 battery. The kit is equipped with the innovative pre-coiled mesh tank, the Lumi Tank,which is powered with the Supermesh coil system to produce outstanding flavor and vapor production. The advanced AS chipset powers up to 80W, which fires extremely fast, accurate and supports temperature control for Stainless Steel,Nickel 200 and Titanium. Lucid is the most compact starter kit powered by a single 18650 with OLED display screen that offers a concise and clear interface.It is a one you cannot miss! 3.Have you used any Geekvape products? If yes, please share us the products. If not, just comment with “Geekvape Lucid Kit”. 1.We will pick 1 lucky winner via random.org on December 26 , 2018. 3.We require at least 20 participants. I know almost nothing about as chipset. I read about it a few times, but didn’t pay much attention. The mod looks small enough to carry around, though. And it does tc. That’s a plus. Share your thoughts on this Geekvape Lucid Kit. #1 Nice design. I like the small mods. The Gun Metal looks perfect. Have you used any Geekvape products? Yes I have the Aegis Legend. ag 3 of your friends to enter. I really like Geek Vape products. Lucid is very beautiful, compact, super design. But everything is relative. Until you try, until you hold it in your hands, it is difficult to judge, but the picture is beautiful! Yes, AMMIT 25 RTA tank. This is my first favorite tank. It was a little upset that liquid accumulated under it by the end of each week, bathed it every week. Overall very pleased with the product!